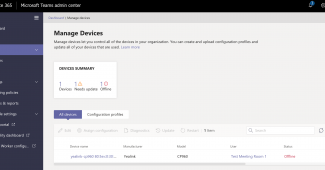 If you’ve been following along at home, you’ll have heard about the recent announcement with Microsoft Teams now allowing you to directly connect your existing on premise Sonus (Ribbon) or Audiocodes SBC to Microsoft Teams across the internet, to allow your Teams users to make and receive calls from the cloud. Hold on a minute Craig, Isn’t PSTN calling already available in Teams? If you’ve got both of those things, you can select and assign numbers to your cloud users, and as if by magic, they can make and receive calls from the cloud! Your calls simply route via Microsoft’s PSTN calling service. I’m not in one of those lucky PSTN cloud calling countries though. Cloud Connector Edition (or CCE for short) is a cut down version of Skype for Business that runs on either a server or a special edition of an AudioCodes or Sonus SBC. This box lives on premise with you – although most of the time it’ll sit in your data centre. You connect your existing ISDN, SIP or PSTN services from your carrier to the SBC, and then connect the SBC across the internet to Office 365. Doing this then enables your Skype for Business Cloud homed users to make and receive PSTN calls via your existing carrier services. 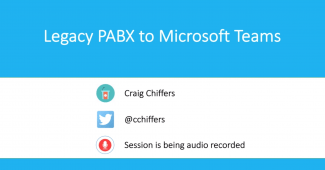 What’s also really great about this setup is that you can connect your existing PABX to the SBC too, effectively allowing you to perform a staged migration of users from your current legacy PABX to Skype for Business in the cloud, all while allowing calls between the PSTN, legacy PABX and Skype for Business. Lastly, if you’re running CCE right now on premise, you’re 3/4 of the way towards having PSTN calling from Microsoft Teams via this infrastructure. More on this below! What if I’m running Skype for Business on premise in Hybrid mode with Skype for Business Online? That’s cool, and it certainly means you’re able to make calls right now from the cloud via your on premise equipment (servers, SBC and SIP trunks). The great thing about this setup is that you’re also 3/4 the way there towards having PSTN calling from Microsoft Teams! What if I’m building a greenfield site? Starting from scratch is an added bonus, and means that you get to decide the direction that you want telephony (and UC as a whole!) to go in. If you’re in one of the lucky countries that has direct PSTN calling from the cloud for Skype for Business and Teams, purchase your E5 licensing and PSTN calling plans and assign the numbers to your users. If you’re not in one of the lucky direct PSTN calling countries, go down the direct routing path. Purchase a certified SBC from Sonus or AudioCodes, get yourself a SIP trunk, Office 365 E5 licensing and away you go! Lucky country – Buy those E5 licenses and PSTN calling plans! 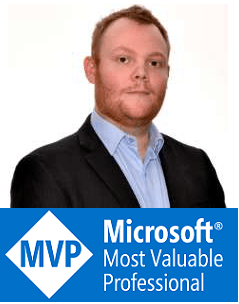 Other countries – Consider setting up CCE with a certified Sonus or AudioCodes SBC, then create two SIP trunks – One to Skype for Business online, and the other to Microsoft Teams. You’d then route your inbound calls to either service. I’m running Cloud Connector Edition, or Hybrid Mode right now. How do I start making calls from Teams? As mentioned above, if you’re already up and running with CCE or Hybrid mode and your SBC is certified you can create a SIP trunk from the SBC to Microsoft Teams! Doing so will allow you to route calls between Teams, Skype for Business Online and On Premise, Legacy PABX’s and the PSTN via your existing ISDN, SIP or PSTN carrier trunks. This all sounds great, but I have questions. Lots of questions! Completely understandable. This is a moving topic at present and so information is always subject to change! You can always post your question in the comments section below, and i’ll give you a hand!